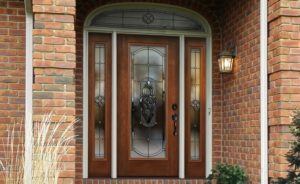 If your current front doors aren’t protecting your home against all of the weather elements experienced in L’Anse, Michigan, and the surrounding areas, it is probably time for a replacement. Thankfully, the professionals at The Window Store Home Improvement Center have served the area with pride since our founding in 1992. We proudly serve the area by offering windows that are designed to enhance the energy efficiency of your home and increase the strength of your entry door when compared to any lesser materials. This is achieved by utilizing high-quality steel in our entry doors because a fiberglass or classic wooden style door are known to warp and succumb to mold, mildew, or moisture damage in the unique Michigan climate. Furthermore, our entry doors are designed to place less strain on your HVAC system by utilizing a premium weather-stripping that will form a tight seal between your door and the frame to prevent air infiltration. This unique design will also help to keep your monthly energy bill low due to the lessened need for your HVAC system. To learn more about the durable and visually appealing front doors we offer to residents of L’Anse, MI, and the surrounding communities, contact The Window Store Home Improvement Center today. When you do, one of our knowledgeable team members will happily answer any questions you may have about our products and installation services. I have been telling people about most all of your qualities! The beauty the clean workers, the kind workers, the quality on and on. We are very satisfied and will use and refer The Window Store again.